All boys needs sports clothing to wear during the cold weather. The navy longsleeve t-shirt is handsmocked on the chest with a football, soccer ball, baseball, and basket ball. There is navy and white stripe piping along the smocking and matching stripe pants that have an elastic waist. 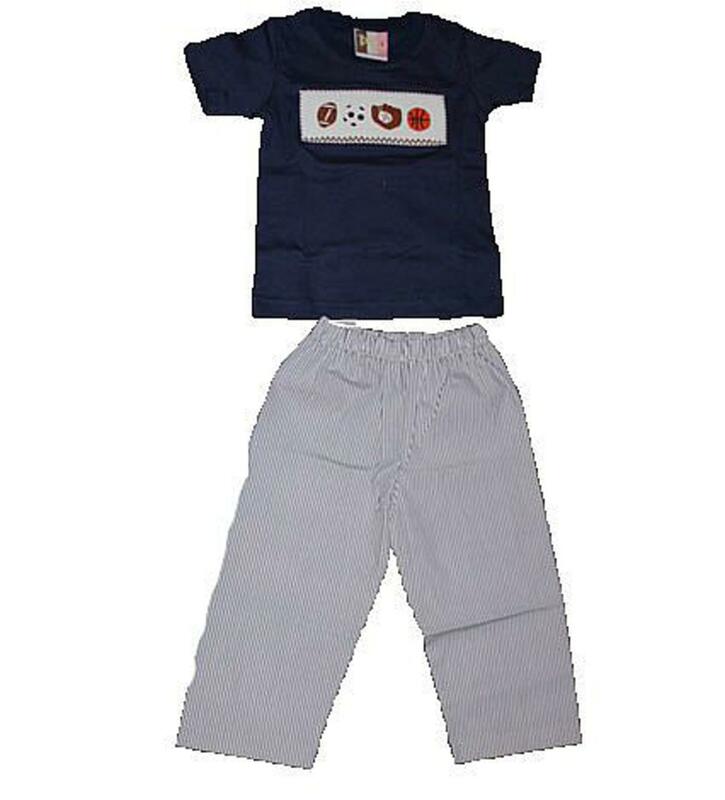 The super soft shirt is 100% cotton and the adorable pants are 65% polyester and 35% cotton.